Our Facebook page is almost at 10,000! 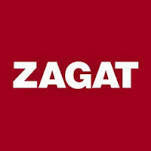 See what ZAGAT has to say! Looking for the perfect spot for a special event? Upcoming Events & Special Announcements! 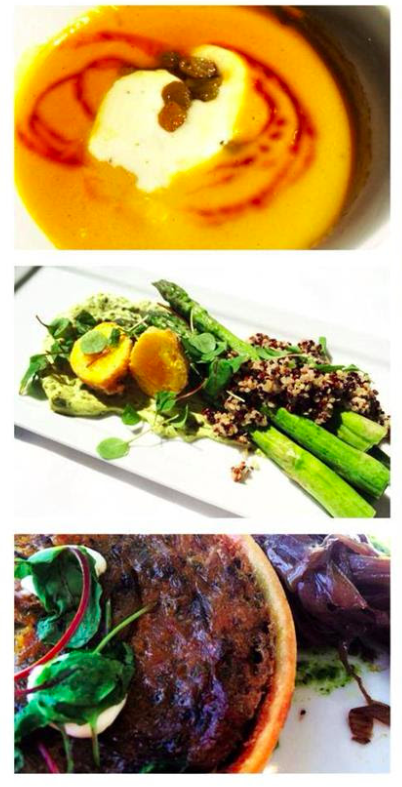 Spring is finally heading our way, and to celebrate Chef Jason Starnes has created the perfect menu. Chef's taken his cue directly from Mother Nature and has selected only the best local and freshest ingredients from area farms. With Easter just around the corner and Mother's Day on May 11th, now's the perfect time for you to come in and enjoy the new menu. It will be sure to delight! Click here for the new Spring Menus! 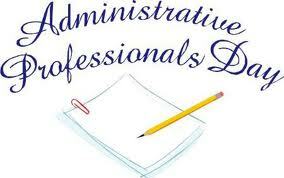 Over the years, Adminstrative Professionals Week has become one of the largest workplace observances. In the United States, there are over 4.1 million Adminstrative Professionals! In honor of your excellence, we invite you to share your busy schedule with us! On Wednesday, April 23 we're offering a very special menu in celebration of the all the things you do to make everything run so smoothly. We'd love to be a part of your special day! Click here for our special menu and to make reservations! Friends...BIG NEWS. We've almost reached 10,000 LIKES on our Facebook page. We. Are. Excited. We're also very grateful for YOU, our loyal fans. To celebrate the milestone when we reach it, we are going to randomly select a fan to enjoy "Dinner for 2 + a one night stay at The Westin Peachtree Plaza" as a way of saying "thank you". So, please help us get there by sharing with your friends. Who knows, you just might be the lucky winner! ZAGAT New York, in partnership with the hit show, MADMEN, just named the Sun Dial Bar & View one of the best "Atlanta Spots With Old-School Charm and Glamour". No matter the size of your event, we have a creative solution, a stunning backdrop and a fully customizable menu to offer a memorable experience for you and your guests. Seated lunches and dinners are available in our Restaurant, level 71 for parties up to 40. 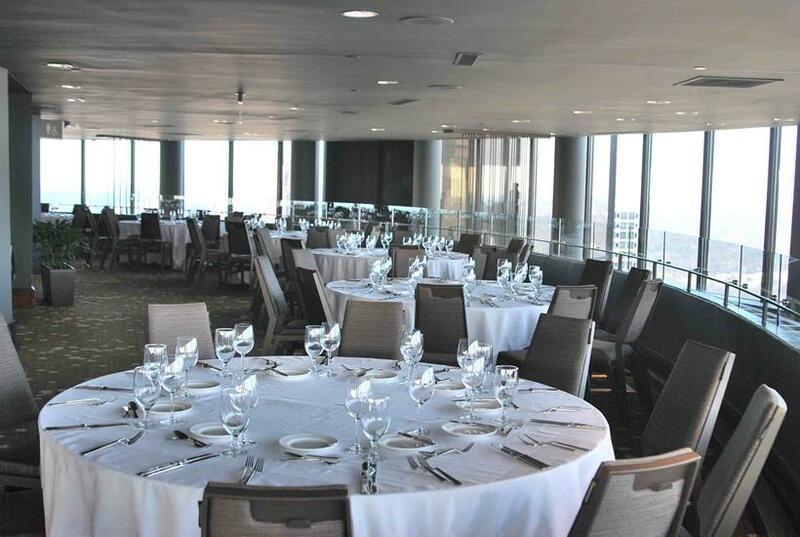 The View, level 72, can host seated dinners of up to 96 people and cocktail receptions of up to 150. The Bar, level 73, can host small groups of 15-50 before 6 p.m. and the full level is available for buyout for groups 150-300. For more information, or to book your next event, please contact Kim Ferguson, Sales Manager at Kim.Ferguson@westin.com, or by calling 404-589-7471. The Sun Dial Restaurant, Bar & View is Atlanta's only tri-level dining complex featuring a revolving upscale restaurant, a rotating cocktail lounge and an observatory View Level offering a breathtaking 360-degree panorama of the magnificent Atlanta skyline. An Atlanta tradition, thousands of locals and tourists board the scenic glass elevators each year to climb the hotel's 73 stories to The Sun Dial for its unbeatable views, classic cuisine, live jazz and relaxing ambiance. Situated 723 feet above the city, the Sun Dial features a full service dining experience with a diverse menu offering seasonally influenced contemporary American cuisine by Chef Jason Starnes for lunch, dinner and Sunday brunch. You're receiving this because you have expressed an interest in The Sun Dial and our newsletter.